During my first month in Guangzhou, I was surprised to find out how expensive shopping there could be especially if you go to the malls. Some of the stuff they sell there were even more expensive when compared to a similar item being sold in the Philippines. Quite frankly, I was aghast! It’s China after all and Guangzhou is supposed to be China’s retail paradise. Aren’t things supposed to be cheap? Well, as it turned out, I just didn’t know where to look. As with any place, I needed to do some research to know where the locals actually shopped. 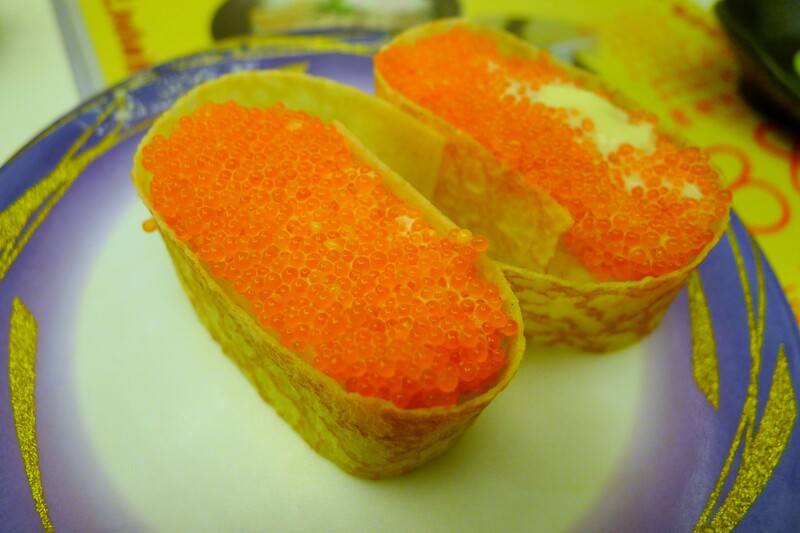 Upon asking my workmates, they all recommended me to a website called Tao Bao. It’s sort of the Chinese version of eBay. They say they prefer buying online because it’s cheap. Although it was indeed a great site, that answer disappointed me. I didn’t want to go shopping online. 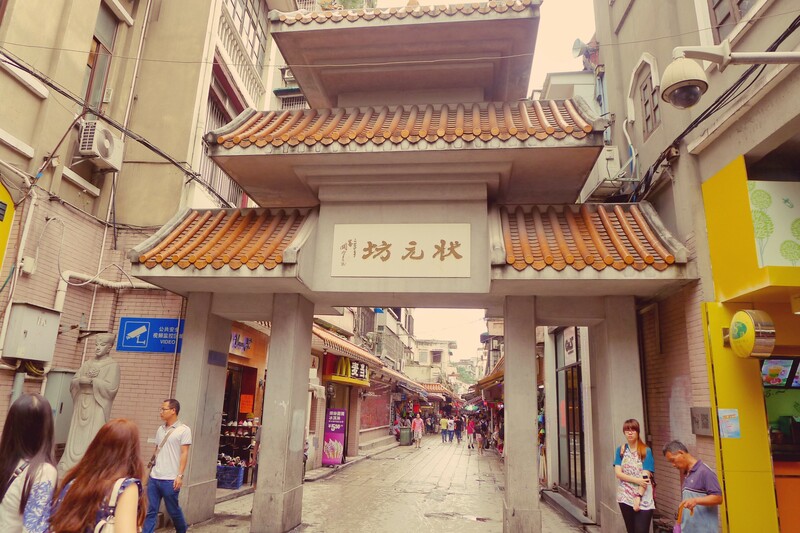 I wanted to completely experience actual shopping in China so I asked another friend who was still a student, and she recommended to me Zhuangyuan Fang at Number One Scholar Lane, Renmin Nan Lu. Zhuangyuan Fang is a 200-meter street lined with shops selling the latest in Asian fashion (by this I mean mostly Chinese, Japanese, and Korean). It’s popular among students and often crowded with China’s young fashionistas. I’ve read somewhere that because this place is popular, it’s not as cheap as it’s supposed to be. When I went there, though, I found some pretty cheap stuff. Think $2.50 (PHP107) for a skirt. There was also this gorgeous dress, which I really liked that cost about $12 (PHP530). Such a steal! Well, of course, the quality isn’t super great but hey, you get what you pay for! What I do know is that this place used to be known during the Qing Dynasty 700 years ago for producing antiques and handicrafts. 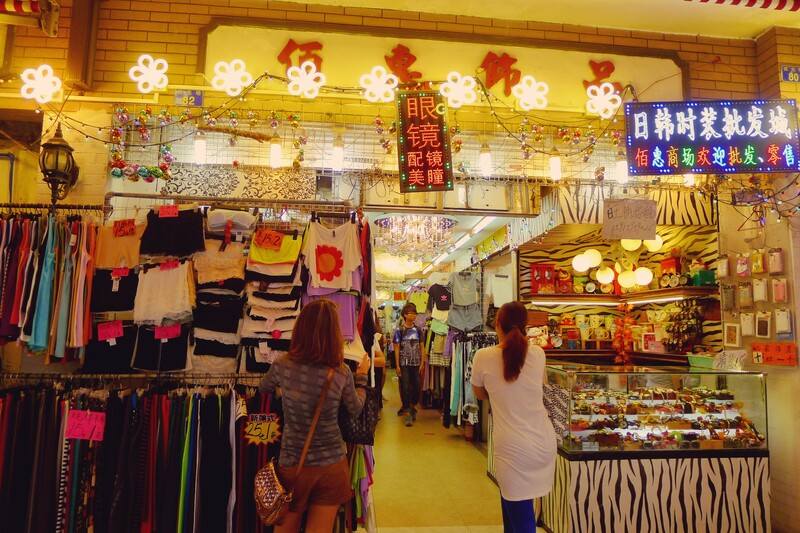 People here also used to sell costumes for the Cantonese opera. Today, it’s every young person’s destination for cute, bargain finds. There are stores for men and women alike. 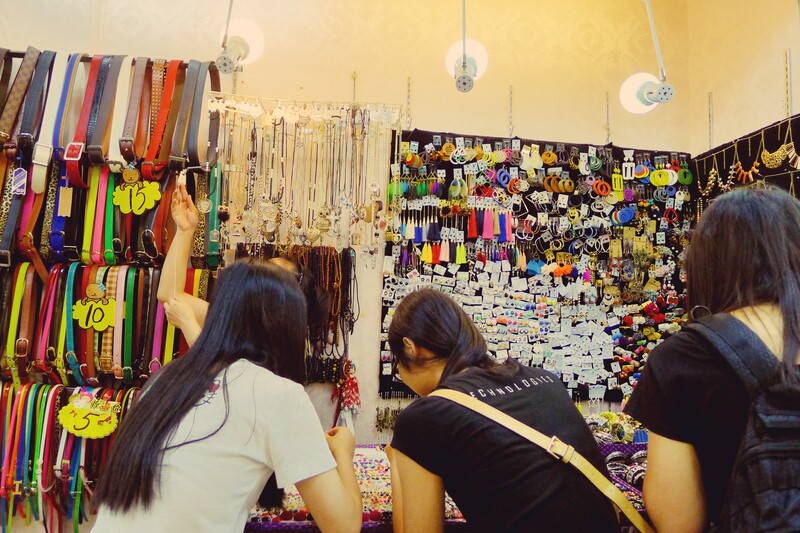 The items sold here range from clothing, beauty products, to accessories. From my experience, it’s best to try haggling BUT do not be too persistent if the seller seems resistant to your charms / bargaining skills. Sometimes, they can get really mad at people who try to haggle and out comes a spew of irate Chinese words. Well, unless you know Mandarin or Cantonese, you wouldn’t really understand and so it doesn’t really matter that much. However, it’s not a pleasant experience when someone just starts screaming at you! Also, I advise that you learn some basic Mandarin phrases related to shopping. 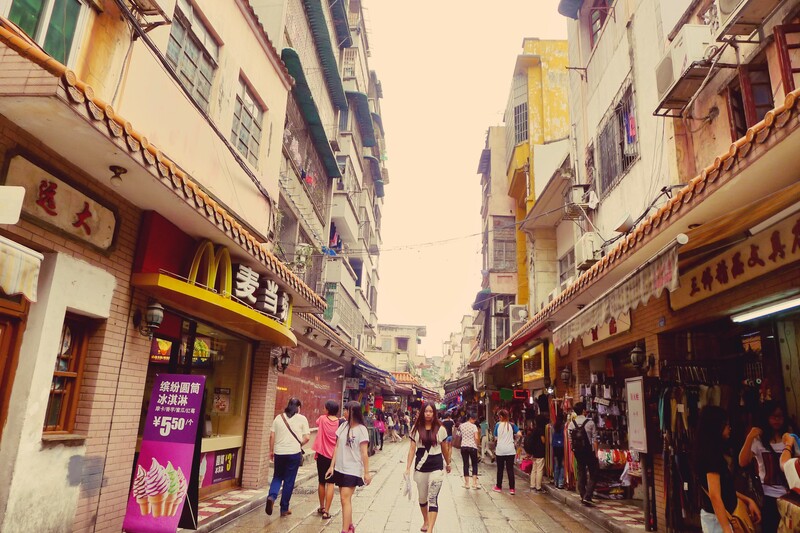 Although originally, people from Guangzhou (A.K.A Canton) speak Cantonese, Mandarin is widely used because Guangzhou is one of China’s main business districts and as such, there are a lot of people there from other provinces. Despite the difficulties in communication, shopping here is still a rewarding experience. By the end of the trip, I bought a skirt, a pair of shorts, a T-shirt, and a chambray shirt all for about $24 (PHP1,000). Not bad, right? If I brought more money, I could have gotten a bag as well and that gorgeous dress I was lusting after but oh well, maybe next time! 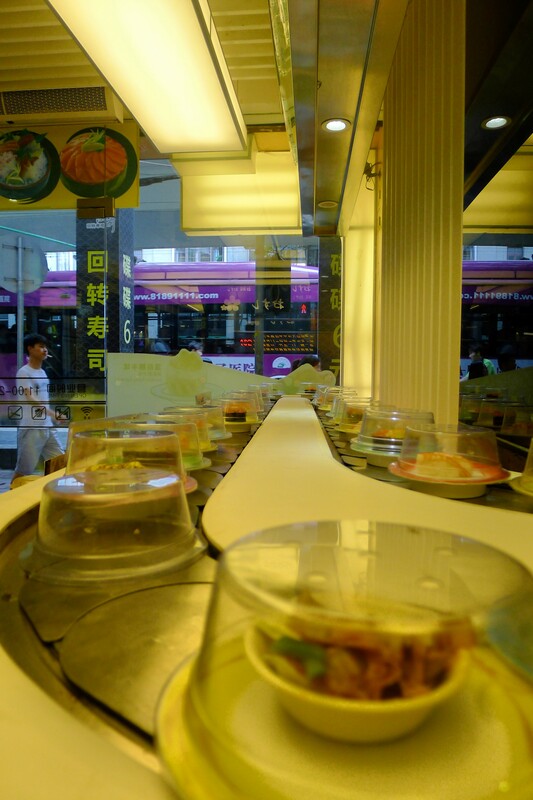 Oh, and in case shopping makes you hungry as it always does to me, there’s a nearby Japanese sushi place where they have the sushi in a conveyor belt in front of you. It’s like in the Japanese movies I see. I was delighted! Hahaha… Of course, you have to wish other people don’t get the plate you’re eyeing but never mind, you will get whatever you want in the end. 🙂 Each plate costs about $1.31 (PHP57), if I remember correctly, and they charge for tea and wasabi! 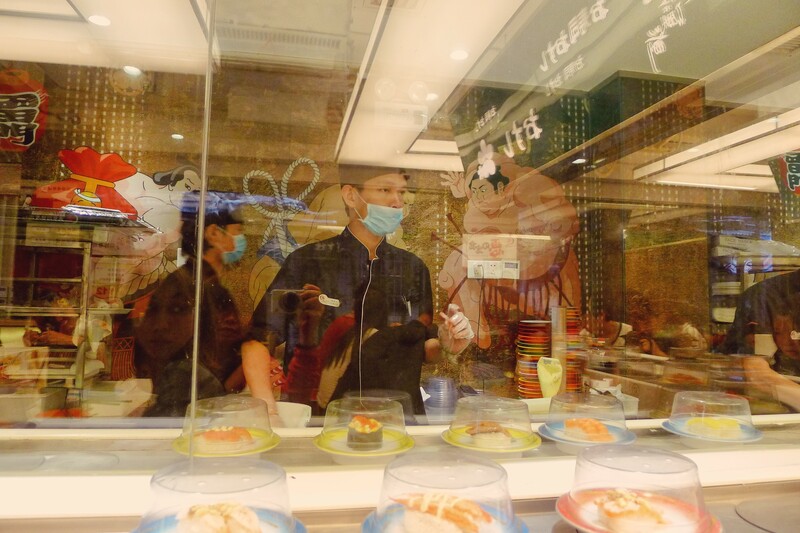 Hahaha I find this ridiculously funny because usually, they serve these for free in Japanese restaurants. Nevermind, I still had fun! Via metro, take Line 1 to Changshou Lu. 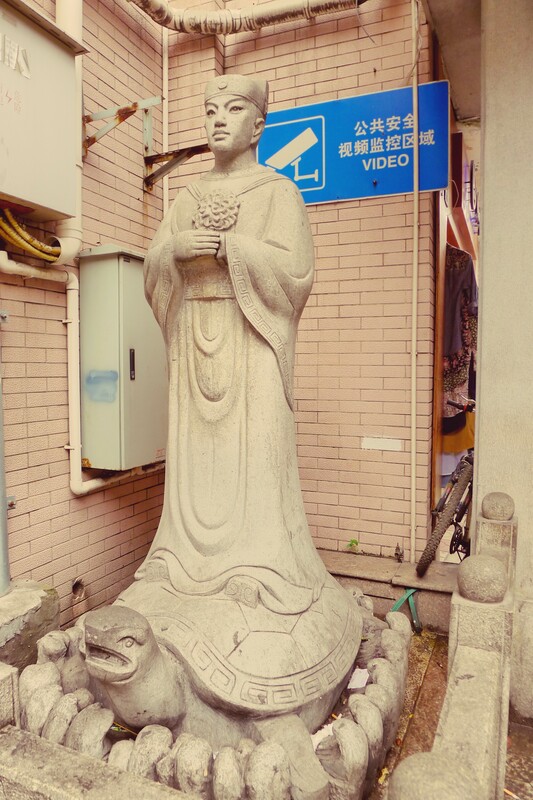 From there, you can ride the motorbike to Zhuangyuan Fang ( 状元坊) as it’s a bit far from the station. I suggest you have the address in Chinese so you can show this to the driver. 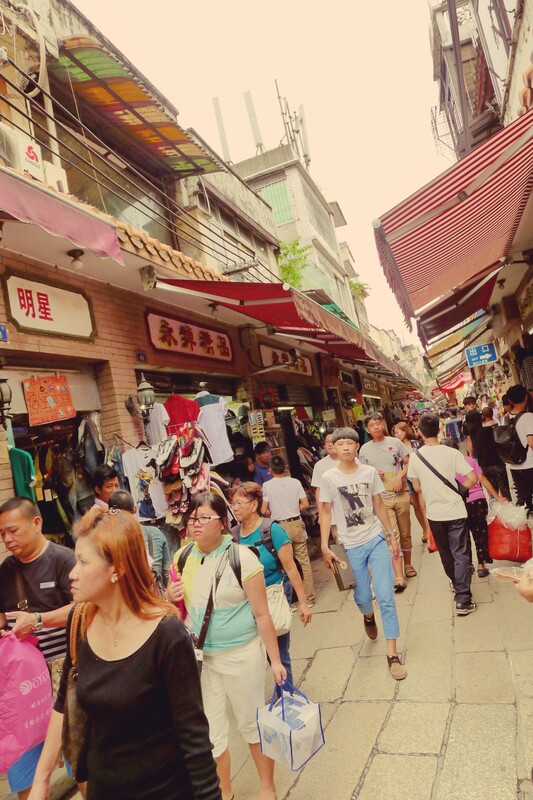 I think shopping in a long stretch of streets is also one of the things I enjoyed in Shanghai and Hangzhou. Are you still in China, Mich? 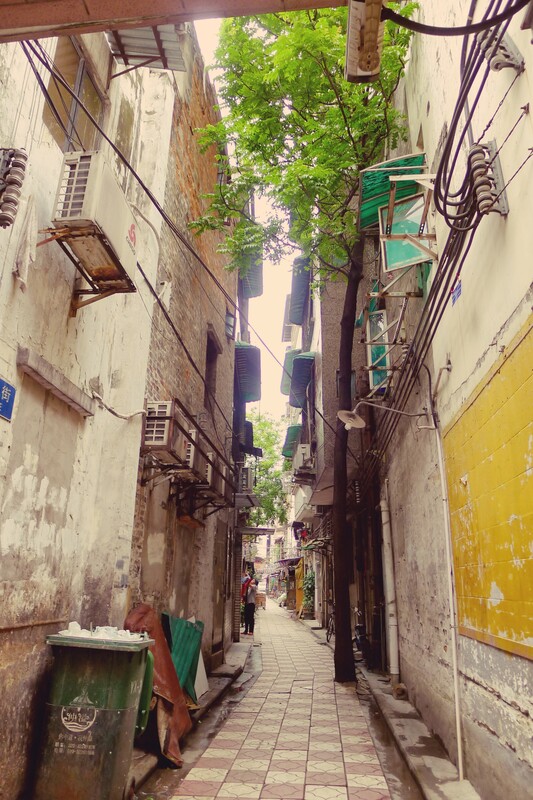 I havent been to China but I can imagine the quaint little streets! Glad you found the cheaper shopping area!! !